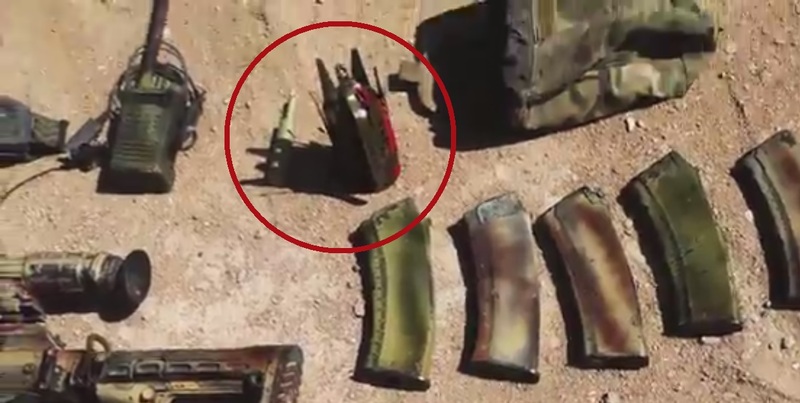 On 17 March 2016, the Islamic State displayed a range of equipment it claimed to have recovered from “a Russian military advisor” killed during fighting near Palmyra. The nature of the equipment recovered indicates that the fighter was likely a Russian special operations forces (SOF) EOD operator. Amongst the equipment recovered was an MIB type multi-function munition. 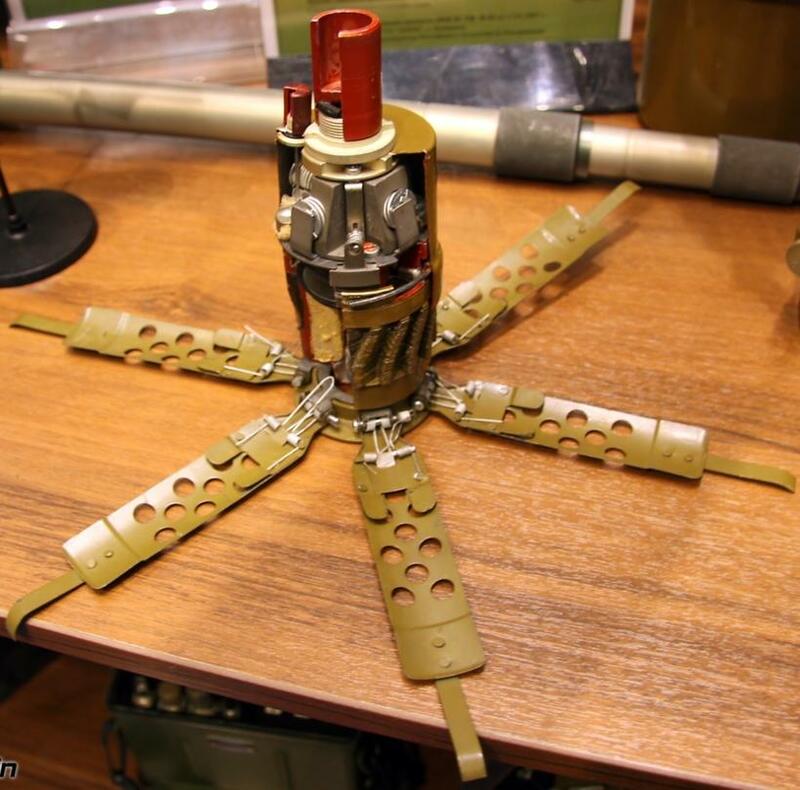 Little is known about this relatively unusual munition, however its development and use is most commonly associated with Russian SOF units. The MIB (Многофункциональный боеприпас; ‘multi-function munition’) is often described as a “grenade mine”, alluding to a design which allows it to be thrown as a hand grenade, or emplaced as an anti-personnel mine. The MIB is believed to have been adopted by Russian forces in 2007, and two minor design iterations may have been introduced to present. One model known as the MG-2 appears to be very similar to the MIB, however there is little information available in the public domain. It is possible that the munition documented in Syria is an iteration of the MIB, an MG-2, or another derivative munition with a similar operating principle. The MIB is a high explosive fragmentation (HE-FRAG) munition, weighing in at 830 g with an 80 g charge of A-IX-1 high explosive (96% RDX phlegmatised with 4% paraffin wax). When employed as a hand grenade, it functions with a simple 3-5 second time delay fuze before detonating. The munition’s functioning as a mine is similar to that of the US M86 Pursuit Deterrent Munition (PDM) or the Russian POM-2 scatterable AP mine. The munition is (ideally) emplaced in an upright position by hand or thrown. After a 60 to 120 second delay, the five perforated portions of the outer casing are forced downwards, stabilising the body and righting the munition if thrown. The mine then deploys four 10 metre-long tripwires; these function the mine when disturbed. The MIB has a 3-100 hour variable self-destruct timer, as well as a chemical fail-safe which renders the mine inert after no more than 120 days. This is believed to be the first documented instance of the capture of this type of munition by a non-state armed group. A display model of an MIB multi-function munition at the ‘Army & Society’ expo in 2010 (photo credit: Vitaly Kuzmin). Special thanks to Ivan Kochin. Composite image by @RuslanLeviev. it can by a russian pom-3 ( ПОМ-3) pom-3 is fittet wiht sismic sensor . cross offer POM-2 scatterable AP mine.